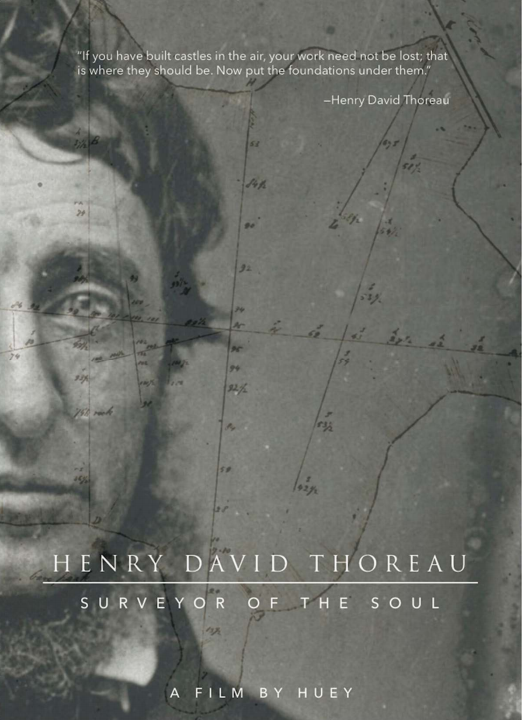 Film and Discussion: "Henry David Thoreau, Surveyor of the Soul"
Please join us for a special showing of Henry David Thoreau, Surveyor of the Soul, for this free event. Open to the public; anyone interested is welcome to come! This feature-length documentary on the life of Thoreau and the relevance of his writings today will be introduced by the Maine filmmaker Huey, who for 13 years followed Thoreau’s footsteps from Walden Pond to Maine, Cape Cod, Staten Island and beyond, filming people from all walks of life as they spoke about what Thoreau means to them. Our special showing will be followed by a panel discussion featuring Huey, the film’s lead adviser Laura Dassow Walls, the William P. and Hazel B. White Professor of English, and Jake McGinnis, a graduate student in the Department of English, answering questions about Thoreau, the film, and the national public reception of Thoreau during his Bicentennial Year, 2017. Henry David Thoreau: Surveyor of the Soul features interviews with Bill McKibben, Howard Zinn, Darren Ranco (Penobscot), Robert Bly, Wai Chee Dimock, Megan Marshall, Robert Richardson, and Laura Dassow Walls (author of Henry David Thoreau: A Life), along with other writers, activists, students, scholars, and everyday visitors to Walden Pond. What is the role of wildness in our lives? How has civil disobedience inspired movements for civil rights and environmental justice? How have Thoreau’s writings brought together communities of people seeking alternatives to our consumer-driven lifestyle and political disengagement? By weaving together the story of Thoreau’s life, the visual beauty of Walden Pond, and the challenging questions raised by Thoreau’s writings, this film asks what it means to see the world with “surveyor’s eyes,” eyes that take the measure of our soul through a searching look at our actions in the world. Campus sponsors include Sustainability Studies, the Department of English, the Department of Film, Television, and Theatre, the White Foundation, and the Institute for Scholarship in the Liberal Arts. For more information about the film screening, contact Laura Walls. Information on Huey may be found at his website: www.filmsbyhuey.com.